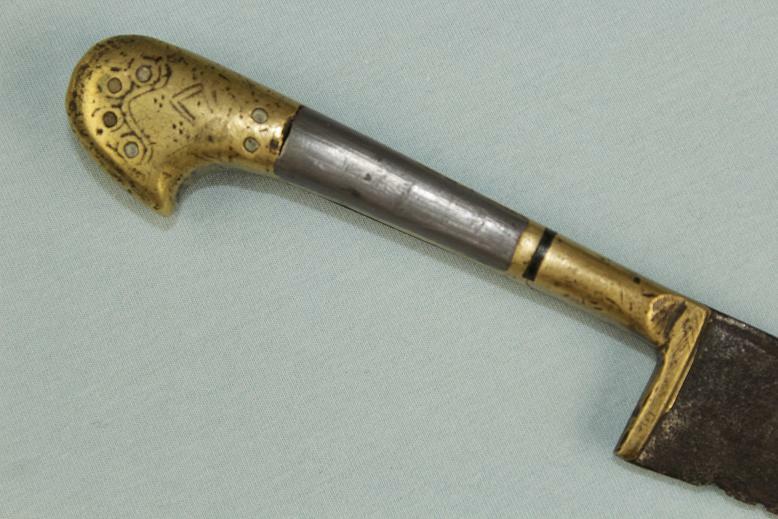 A small and heavy Central Asian Pichoq. 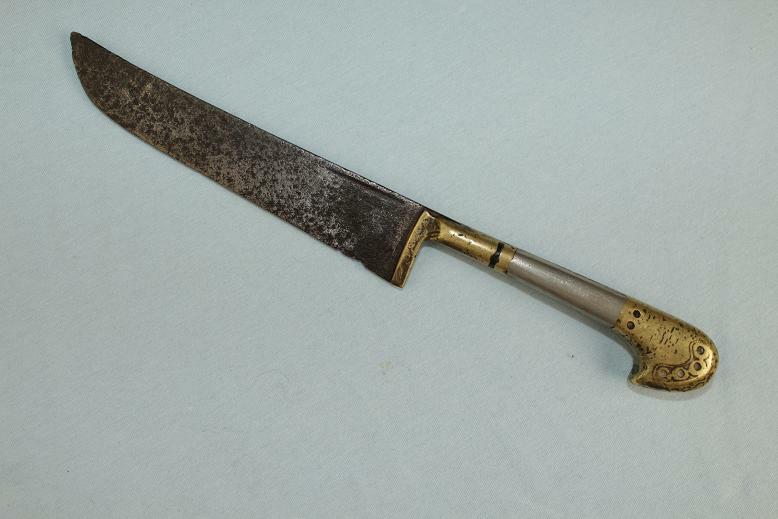 This rare little knife measures just over 22cms long with a blade length of 12cms. 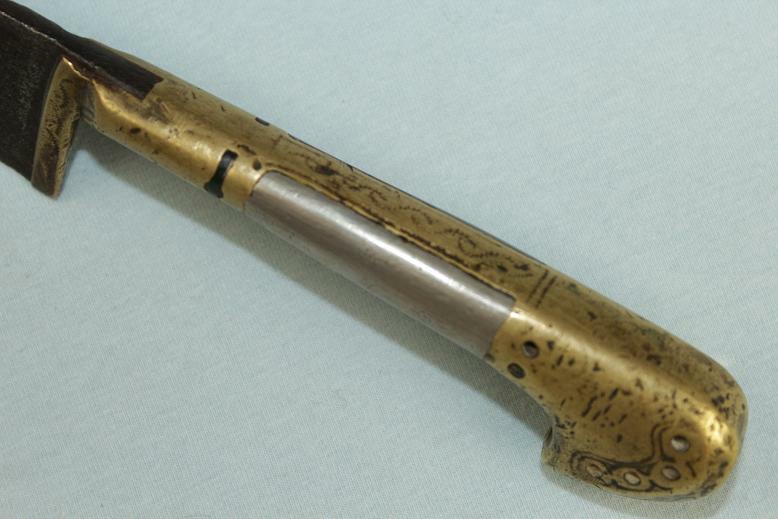 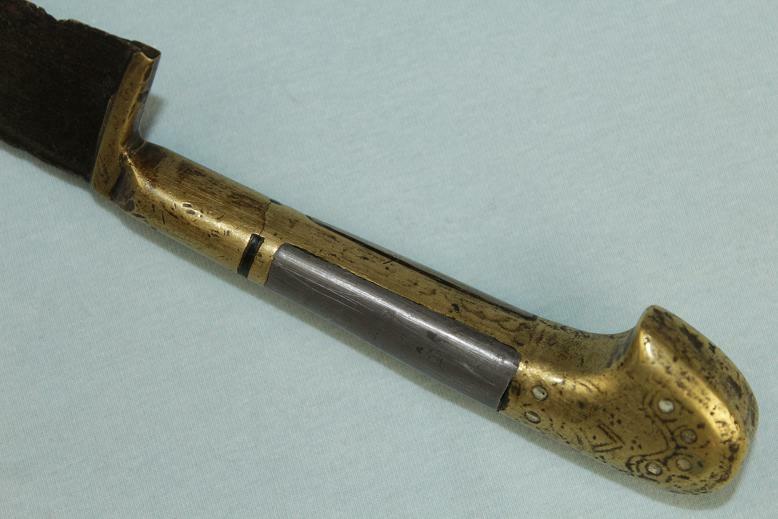 The hilt is a heavy solid brass type with its sides scalloped out to accommodate for a lead silver panel and green stone or glass inlay. 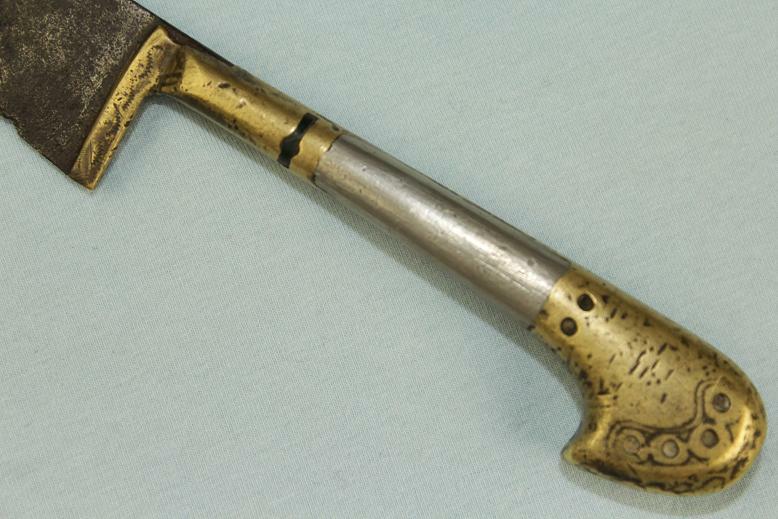 The blade is of typical Pichoq form with a single narrow fuller and upswept tip. 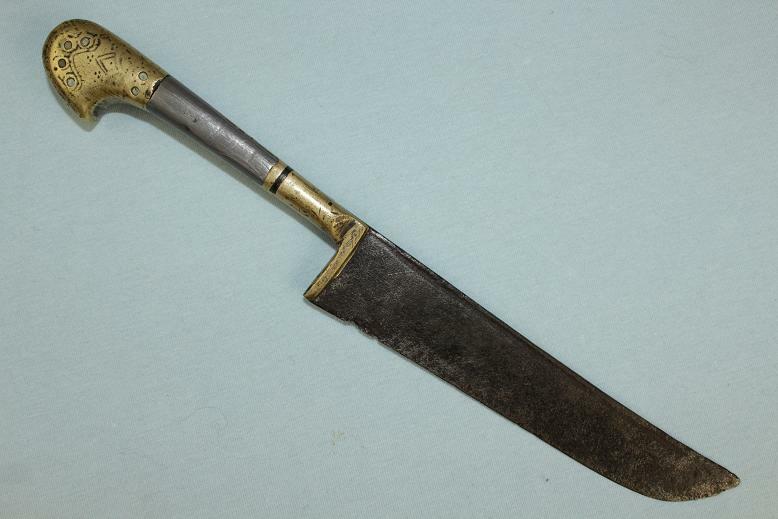 A good and very rare Central Asian knife with some condition issues as seen in the images but listed at a cheap price for the type.